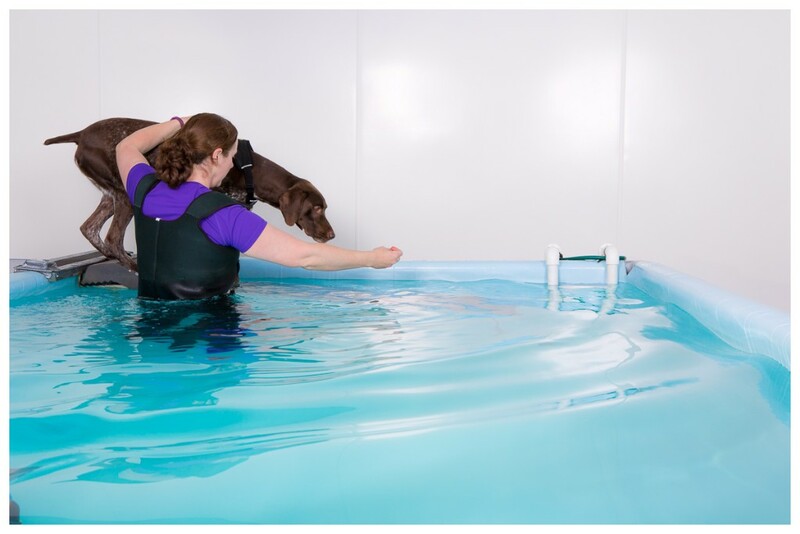 Hydrotherapy utilises water properties to create a safe and proprioceptively enriched environment to aid your dogs rehabilitation, return to function, and overall fitness. One such water property is buoyancy, which reduces weight bearing forces exerted on painful or weak joints, additionally aiding movement of weak limbs which may be too difficult or painful when on land. When undertaking a water based treatment session, your animals will receive a pre-shower for hygiene, with additional therapeutic techniques utilised to warm their muscles and stimulate them for the hydrotherapy session which will take place either in the pool or treadmill. Once relaxed within the environment, a multitude of therapeutic techniques will be utilised within the water including; sequencing patterns through the water, proprioceptive stimulation of limbs, active range of motion, and massage. Following this, your animal will again be showered and shampooed to help relax the worked muscles and joints. We aim to dry your animal as best as possible, however they may be left a little damp so please bring a coat or towel to wrap them up in so they don't get cold. At Cotswold Dog Spa our 2 x 4m hydrotherapy pool offers ramp entry and exit that will by guided by the therapist to ensure a safe and therapeutic experience at all times. A skilled and qualified therapist will accompany your dog in the hydrotherapy pool, performing a variety of therapeutic techniques to create a safe, confident, and beneficial experience for your dog. The hydrotherapy pool is sanitised with chlorine daily and maintained at 30-32°C to create a clean and relaxing environment for your dog. Water quality is important to us, our records are available for viewing and along with current guidelines we have the water externally tested for bacteria monthly. Our trained therapists will guide your dog via ramp entry and exit into the hydrotherapy treadmill. The hydrotherapy treadmill offers controlled weight bearing via the therapists control over the water submersion level. 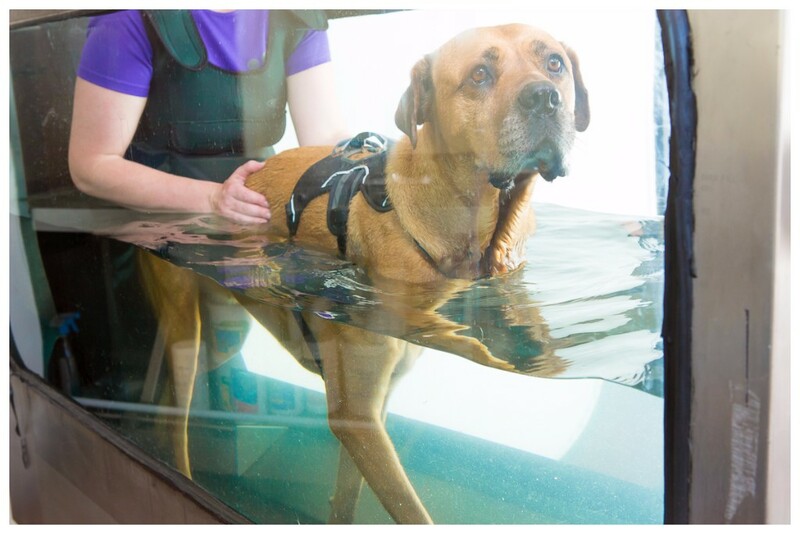 A therapist will accompany your dog in the hydrotherapy treadmill to provide a safe and therapeutic experience whilst introducing them to the movement of the underwater belt and encourage normal gait patterning through the water. As per the pool the treadmill is sanitised daily and maintained at 30-32°C to create a clean and relaxing environment for your dog.